IPC VBS is June 10-14 and we need your help. Volunteers serve in a variety of ways, including decorating, teaching, delivering snacks, assisting with logistics, and more. 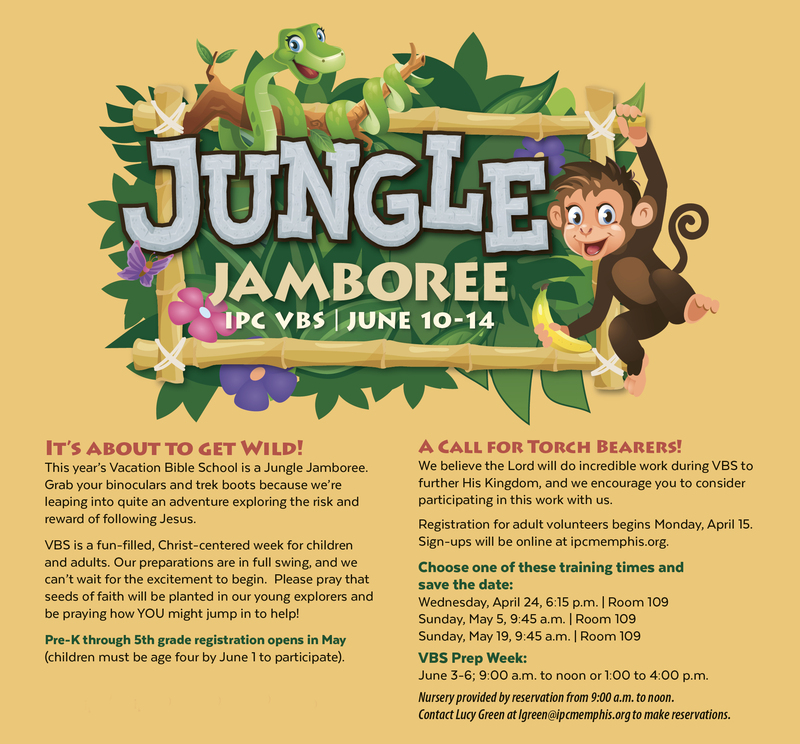 Click HERE for to sign up as a VBS Volunteer. Registration for children (Pre-K through 5th grade) opens May 1.